Who am I? To answer this, we must first learn to become more aware of ourselves. To be aware, we must STOP and PAY ATTENTION! We need to STOP and objectively watch and experience ourselves in action. We live most of our lives by habit. These habits keep us stuck in patterns that limit our experience of life. Once we detect a pattern we were previously unconscious of, we can choose differently, if we want. With awareness comes choice and with choice, we gain freedom. Start building the awareness habit: STOP and PAY ATTENTION. Set an intention to become aware of how you automatically react to different things in your life. For example, how do you typically react to the alarm clock, traffic, work colleagues and situations, your partner or children? How do you react to anger or fear in someone else? How do you react to your own anger or fear? Become a witness to your own life. Pay attention to how you do things. Become aware of how your thinking creates your reality. Probe the messages underlying your emotions. Learn to honour your body's wisdom. Awareness reveals to us a whole new fascinating world. 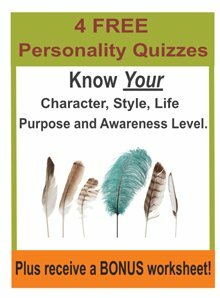 Check out our other many Know Yourself Resources. have been inspired and empowered. Delicious coffee IN - amazing ideas OUT. Here's how!